Bophana Center is pleased to invite Prof. Vong Sotheara Head of History Department of Royal University of Phnom Penh who will deliver a lecture on the Khmer Rouge’s Mobile Units based on his personal experiences under the Khmer Rouge. genocide and the almost complete annihilation of Cambodian heritage. 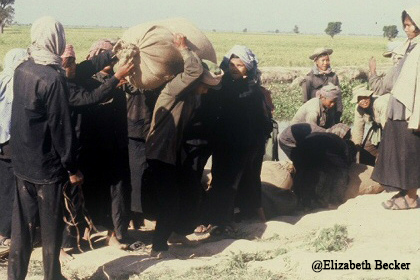 on the darkest period of the Khmer Rouge to younger generations. building dikes, cutting logs, clearing land for cultivation...etc. to complete the assigned tasks by Khmer Rouge’s Angkar. We will start with prof. Vong Sotheara, Stay tuned for the upcomming events. « Guest Speaker: Davy Chou, emerging Cambodian-French filmmaker.